Polls show that 90% of Labour Party members want a public vote on Brexit. That vote must have the option to Remain. We cannot throw jobs, public services and workers' rights under the bus. 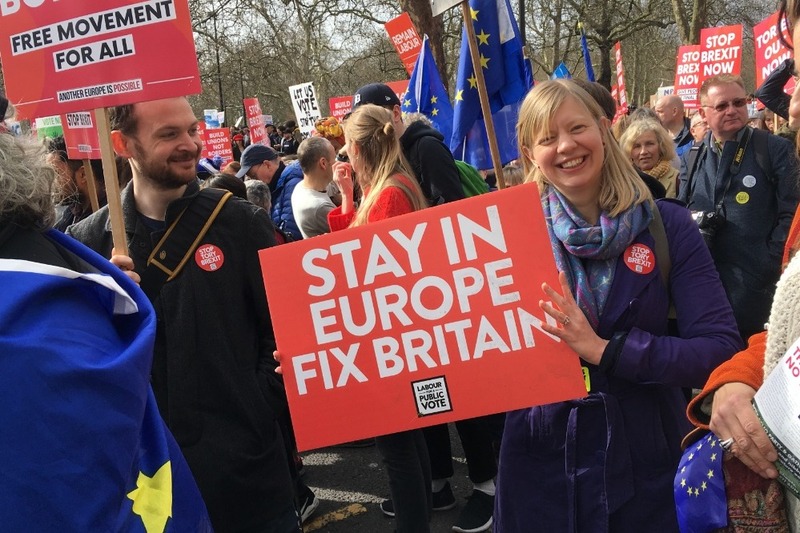 In the summer last year we sent over 150 CLP motions to party conference to demand a public vote on the Brexit deal - a record number. Conference voted overwhelmingly in favour of a motion rejecting the Tories' Brexit. Delegates and unions listened - but are our MPs? We need to tell our Labour MPs that we want them to vote against the Tory deal and for a public vote. They cannot be allowed to sleepwalk into supporting this Tory Government’s Brexit for a ‘quiet life’. We need your help to reach MPs across the country, working with grassroots Labour members and trade unions to tell our MPs to get behind a public vote and vote agains the Tory deal. We need to expand our team with grassroots organisers and more comms staff. Every person we talk to, and every chance we get to influence MPs, makes stopping Brexit more likely. We'll work to get our MPs behind a public vote. We'll also take our campaign to the public - explaining what Brexit would mean for their community, family and livelihoods. Thank you for your donation to Labour for a People’s Vote. Like you, we believe that getting a public vote on the Brexit deal vs remain is the only way out of the mess that the Tories have created. Your donation will help us to challenge the Tories and Brexit, and will help us to make the case within Labour for the party to support a public vote as soon as possible. Thank you again - and please keep in touch.